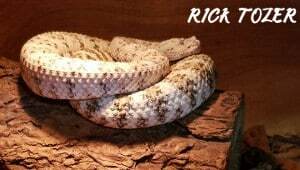 Crotalus pyrrhus is a medium sized venomous pitviper species. As with other Crotalus, it has vertically elliptical pupils, a heat-sensing pit between the eye and nostril on each side, and prominent rattles on the tail. Crossbands are vague in some specimens and regions, and each crossband is often split by a lighter, central area. 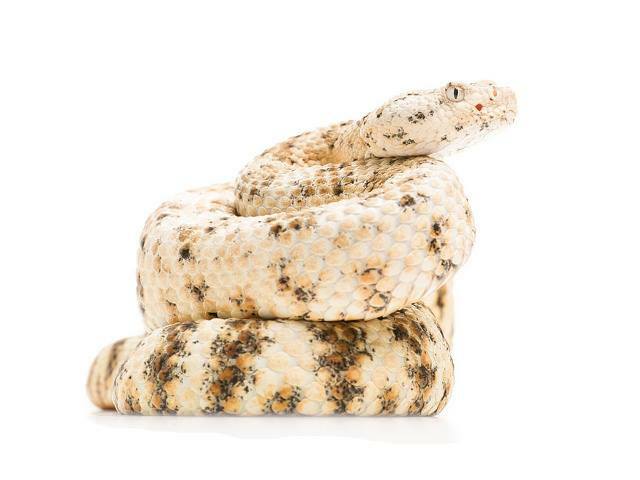 Crotalus pyrrhus’ ground color may be pink, brown, gray, yellow or nearly white, and speckled with black and white. The pattern (if present) may consist of rhombs, bands or blotches. The tail is ringed. To the basics, a minimum size for a adult pair would be something similar to a 20 gallon long aquarium. They can also be kept in a rack system. Although rack system in my opinion is not an ideal setup. I prefer enclosures made of wood or commercial plastics. Size in my opinion should be 1.2 x 0.6 x 0.45 meters (4 x 2 x 1.5 feet) for an adult Crotalus pyrrhus. Hide areas are very important for all snakes. Again basics a commercial plastic hide box will work. Looks though I prefer to keep everything natural as possible. I stack rocks and branches to create natural hide areas. I always prefer the naturalistic approach in my enclosures. I mix sand and soil with a couple handfuls of cypress much. I provide 12 hours per day lighting during summer and 8 hours a day during winter. I like to use the little puck lights (under Cabinet lighting) . These lights focus heat to a basking area. I build up a basking area with rocks and logs so that the snakes are 0.15 meters (0.5 feet) away from the light. This will allow a temps of 38 °C (100 °F). Summertime I leave this on for 6 hours a day with ambient temps in the 23-25 °C (73-77 °F). Winter time I reduce ambient temperature to 12-14 °C (54-58 °F) . I still use basking light but for only 1.5 hrs per day. As discussed in humidity section , water is important. I use spring water and keeping it fresh is important. Stale stagnant water will not draw animal to source. Fresh water will. Keep bowls clean and fresh. Desert animals right. Just because they live in the desert doesn’t mean dry. These animals spend a majority of their lives under ground in animal burrows. Humidity levels in these areas have been measured in the 50 to 60 % range. Leave a small water bowl on opposite end of heat source. This will keep humidity just about perfect. I also give a quick mist first thing in the morning at least 2 x per week. Humidity in the desert is always highest first thing in the morning. The prey must be “too small”, when feeding, as they are having a tendency to vomit the prey. Even a normal chosen mouse is sooner or later leading to that problem. There is nothing in literature, what the reason is for that. A logical reason is that they mostly live in arid areas and therefore mainly feeding on lizards and such. So I think they’re having some problems with the fur of rodents. Once a Crotalus pyrrhus starts puking, it’s becoming chronic very fast and the chance of saving this animal is very low, no matter what you do. Best thing is to feed one size too small and not too often. juveniles every 10 days, sub adults and adults every 2 weeks approximately. An example for the size is a jumper ( a mouse, 3-4 weeks old ) for an adult snake. That’s all! The less fur it has, the better as it seems. Handling snakes as little as possible is always a good standard. My reptiles are only handled when needed; cage cleaning, medical issues etc. Good hooks and set of clear tubes are essential when keeping venomous species. I don’t really care for using tongs. These snakes will “ride a hook” easily. Again less stress, healthier animals. Spot clean cage daily. I do entire cage cleanings 2x per year. New bedding, bleached enclosures. I feel that more than that is undue stress on a animal. On the mentioned feeding schedule these animals will shed approx every 12 to 14 weeks. Shedding does not seem to be a issue in this species. Stick with captive born animals and you should have no problems. Wildcaught animals and neonates can be tough to get feeding. Overall very hardy easy to keep animals.